1. “Striper Mania” is what Clay Rutledge at Bob’s Bait in Bakersfield calls it. 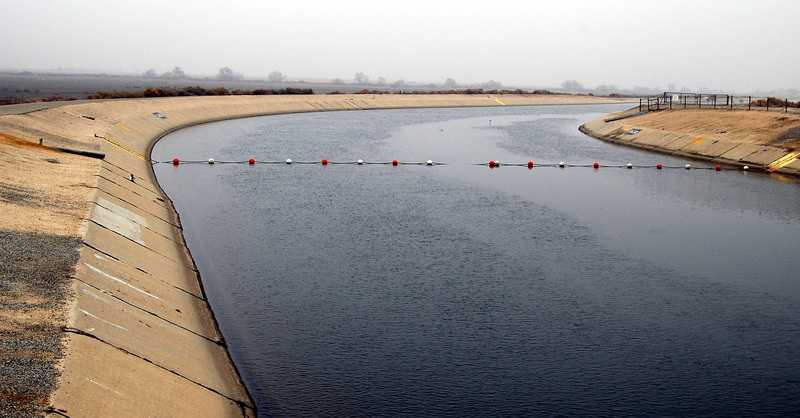 The striped bass bite on the California Aqueduct near Taft is simply wide open. Two anglers reported catching and releasing over 100 stripers under the 18-inch minimum keeper size before running out of bait early this week. Another caught 15 fish on Gitzits that were over the 18-inch mimimum, releasing all. Most anglers are reporting easy 30 to 40 fish days. The best bite is on cut sardines (Rutledge has sold over 300 pounds of frozen ëdenes in the past week), but fish are also showing on blood worms, lug worms, Gitzits, Senkos and just about everything else (except anchovies, anchovies are ignored for some reason). For an update on the action, contact Bob’s Bait Bucket in Bakersfield at 661-833-8657. Also check out “Poor Man Aqueduct Fishing” on Facebook. 2. The largemouth bass bite stays in the top picks this week. The spawn is in high gear just about everywhere, but the top bass pick is a sleeper choice — Big Bear Lake, which has had an unusually early and unusually good largemouth bass bite the past week. In a local team tournament this past weekend, it took over a four-pound average on the bass to win and fish to six-plus pounds were landed. (There are tons of other good bass bets if you donít want to go to Big Bear, including Casitas, Castaic and the Castaic Lagoon, Lake Perris, Lake Skinner, Diamond Valley, Silverwood, along with San Vicente and Lower Otay.) The bottom line is its time to fish for bass. For an update on the Big Bear action, call Big Bear Sporting Goods at 909-866-3222. 3. The yellowtail and bluefin tuna bite out of San Diego stays in the top picks, and while it has been hit and miss and the yellowtail are small (three- to seven-pound class), there is a chance for a trophy bluefin. Most of the fish have been running from 15 to 90 pounds, but a 200-plus pounder was caught Wednesday this week. The skippers are running to offshore kelp paddies or hitting bird schools or just metering fish. The three-quarter-day, overnight, and 1.5-day boats out of San Diego and Oceanside landings are fishing this bite. For information, check with Fisherman’s Landing at 619-221-8500, H&M Landing at 619-222-1144, Seaforth Sportfishing at 619-224-3383, Point Loma Sportfishing at 619-223-1627, or Helgren’s Sportfishing at 760-722-2133. A reminder: You will need a passport for these trips.